Elton John, like Van Morrison, still releases an album every year or so. This is now his thirtieth studio album. You now know what you're going to get these days - piano-driven semi-bluesy rock workouts and some evocative, tender ballads. It was ever thus, to be honest. Many people criticise artists like this for treading the same ground over and over. I take issue with this. They do what they are comfortable with, what attracted people to them in the first place, and they do it well. Fair play to them. It as to be said, though, that the cover is truly awful. One of the worst of all his album covers, totally lacking in artistic invention. 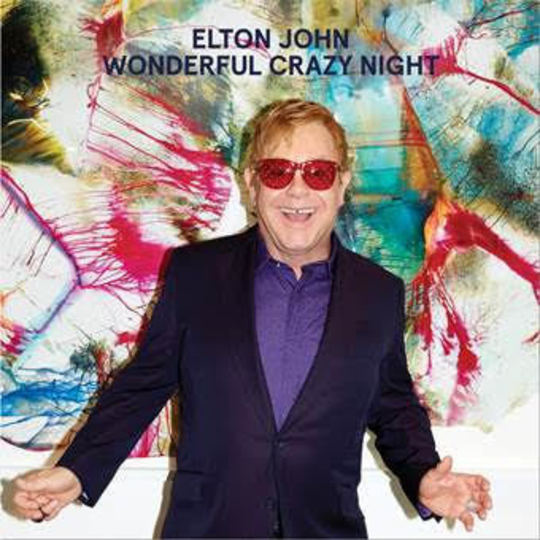 Just take a photo of Elton grinning against a background of bright paint streaks and, er, that's it. Poor show. This album starts with an upbeat, Leon Russell-influenced (what's new) piano blues rocker in the title track that sounds like something from the mid-seventies and is none the worse for it. "In The Name Of You" is a chugging mid-paced rocker that Elton does in his sleep, with some good percussion and an impressive fuzzy guitar solo. "Claw Hammer" is an interesting laid-back and mysteriously rhythmic track with Elton's voice surprisingly clear and convincing, which is not always the case these days. This is the first album since 2006's "The Captain & The Kid" to feature The Elton John Band, and you can tell, the musical delivery is exactly as you would expect from Davey Johnstone, Nigel Olsson and Ray Cooper - top quality. "Blue Wonderful" is one of the highlights. Elton's voice does admittedly sound a bit croaky at some points, but that it parts of its appeal. It is a beautiful, thoughtful Bernie Taupin ballad and it is great that both of them are still recording excellent material like this all these years later. "I've Got 2 Wings" is another Leon Russell-style country-ish piece of laid back blues rock with typical Taupin US-themed nostalgic lyrics. "A Good Heart" has a sort of Parisian torch song feel to it, atmospheric and immaculately delivered. "Looking Up" is an upbeat, riffy rocker with some standout piano licks and a gritty, solid vocal. "Guilty Pleasure" maybe fast in pace, but there is a sadness to it. Bernie Taupin's lyrics have that intrinsic tendency to keep any song from being too much of a good time. It has always been the way. Most of Elton's material featuring Taupin's lyrics have a percentage of essential melancholy in there somewhere. The moving melody and lyric and vocal performance of "Tambourine" would seem to exemplify that perfectly. 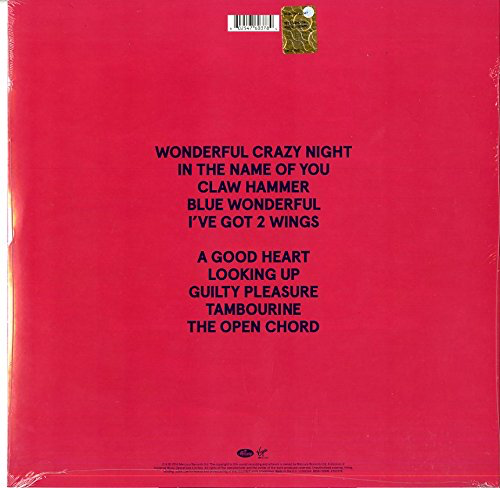 The album's closer, "The Open Chord" is a tender ballad, with a fetching vocal from Elton (albeit slightly slurred) and a lovely piano/strings bridge part. On the whole, "Wonderful Crazy Night" is an album of high quality but without any really catchy, obvious "hit single" style tracks. There is a comfortable feeling about it, like you are in safe hands, and it is a very pleasurable listen, but once it is over, you can't actually remember too many individual tracks, just a memory of having enjoyed it. It is quite nice, also, to have a contemporary album that only lasts 41 minutes (like a seventies album) as oppose to being 70 minutes long and 16 tracks. Therefore, one ends the listen perfectly satisfied. You really can't criticise Elton John for putting out quality albums like this, however. If he had released it in the late seventies or early eighties it would have been hailed as a great album. Indeed it is far superior to some of his mid-eighties output.